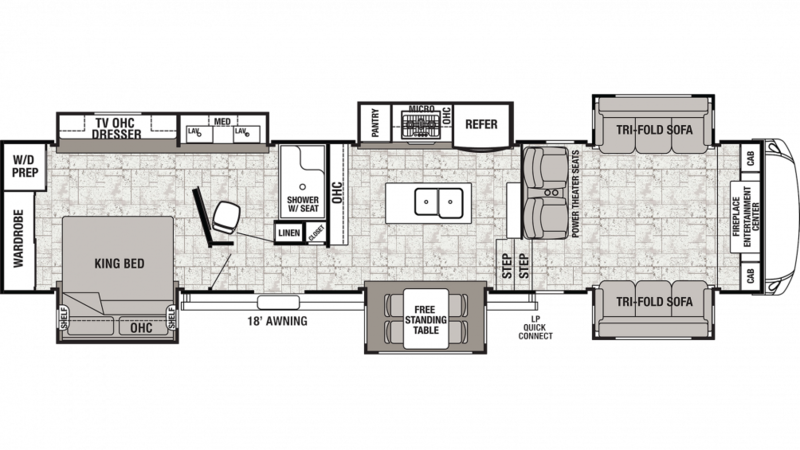 Start planning for your next camping trip with this New 2020 Forest River Cedar Creek 38FLX! If you're driving to or through Grand Rapids, stop by 7145 Division Ave S Grand Rapids Michigan 49548 to learn why TerryTown RV is one of the top RV dealerships in Michigan! Call us at 616-455-5590 to learn more information on this 5th Wheel or any of our other high quality models! It's not hard to travel long distances with this RV, which has a hitch weight of 2756 lbs. and GVWR of 18000 lbs. You'll enjoy a nice, cool shade outside with the 21' 0" awning! Sick and tired of cramped camping? Need a little more space? 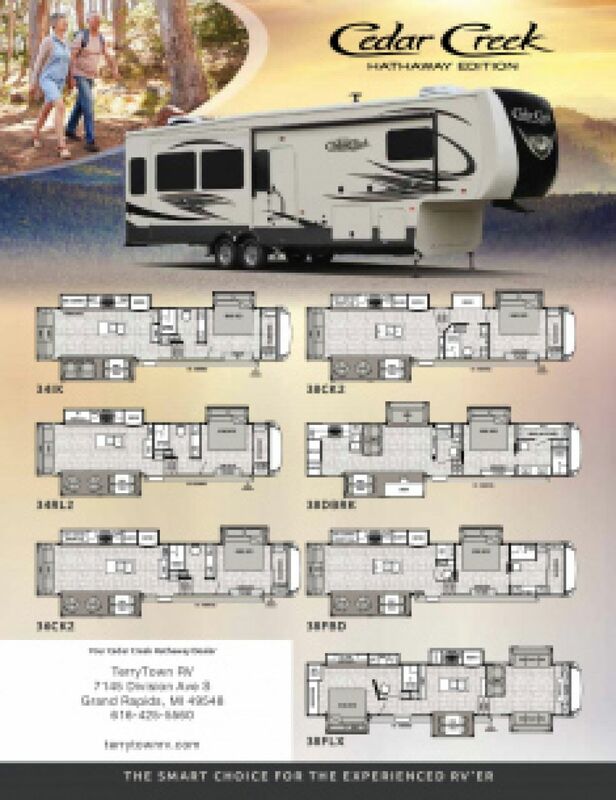 Then you'll be thankful that this 8' 0" wide, 41' 11" long RV has 6 slides! It's also 13' 5" high, so you won't be bumping your head anytime! If the climate outside is dealing in extremes, stay nice and comfy inside the trailer with its 35000 BTU furnace and 15000 BTU a/c! Get a good night's rest in the bedroom with the comfy King bed! You'll find enough cozy furniture for up to 6 people to sleep inside this RV! The bathroom has a Porcelain Foot Flush toilet, so you won't need to go out to the communal bathroom! Enjoy hot showers with the help of the 60 lbs. of LP tank capacity. You won't need to worry about overfilling the 80 gallon gray water tank or the 40 gallon black water tank!